Readers of my blog who read my Kindle DX review probably know how excited I was about the kindle and about using it as my reader for school cases, textbooks etc. 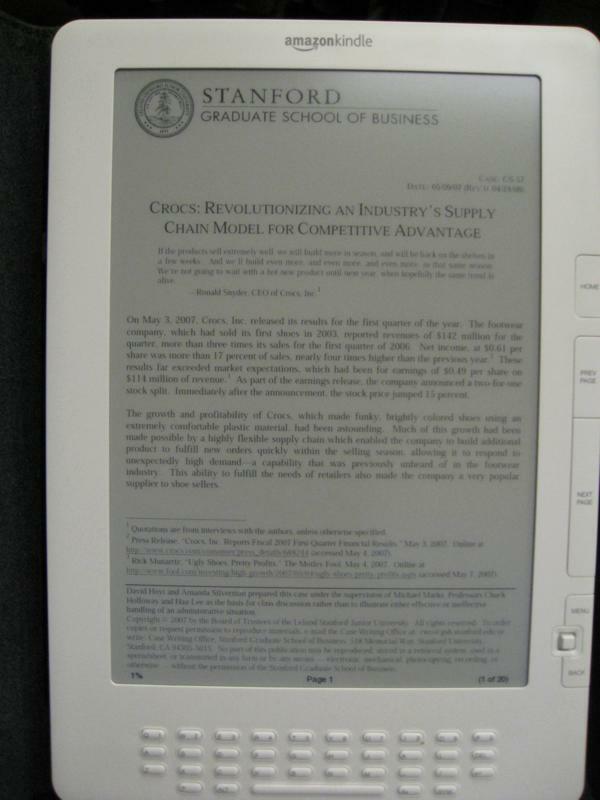 I have to admit that my initial assessment of how appropriate the Kindle DX would be for business school may not have been accurate. Because of this, I wanted to write a brief update to describe what my experiences have been so far. 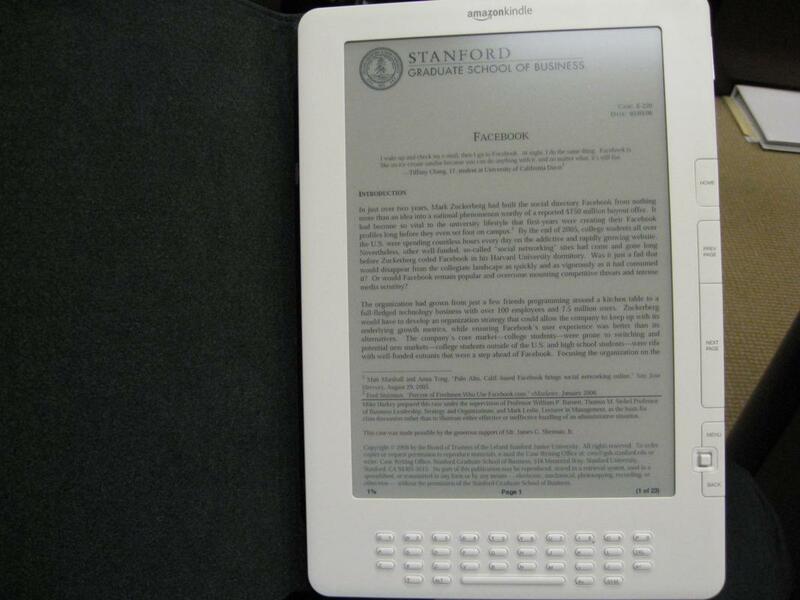 Of the 6+ textbooks that were assigned for reading at the GSB none were available in Kindle format. However, based on what I’ve noticed over the last few weeks, I’m glad that this was the case. 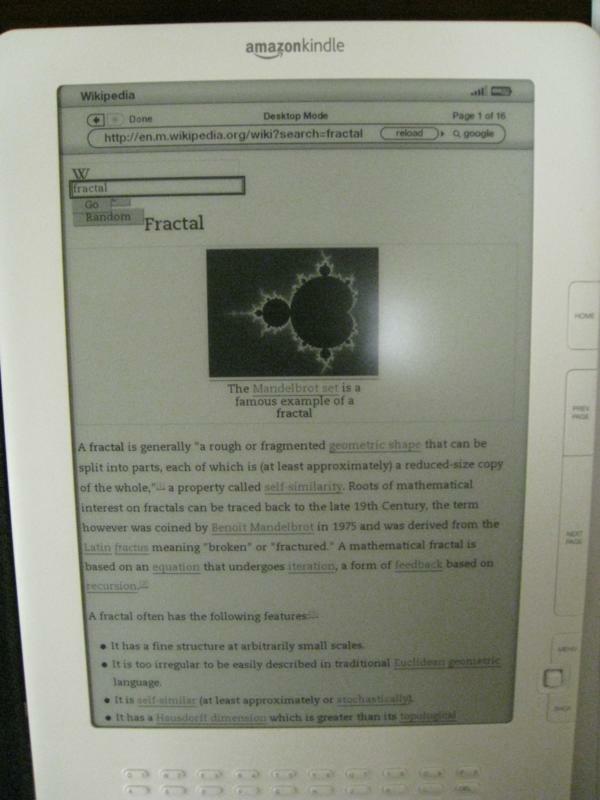 The only book that I was able to get on the kindle was one that we were analyzing for “Critical Analytical Thinking” (CAT). The book was called Blink (note: I do not recommend this book to anyone reading my blog!). For CAT, we had to write a paper dissecting the arguments in a limited number of chapters from Blink. – Many discussions and citations require page numbers. 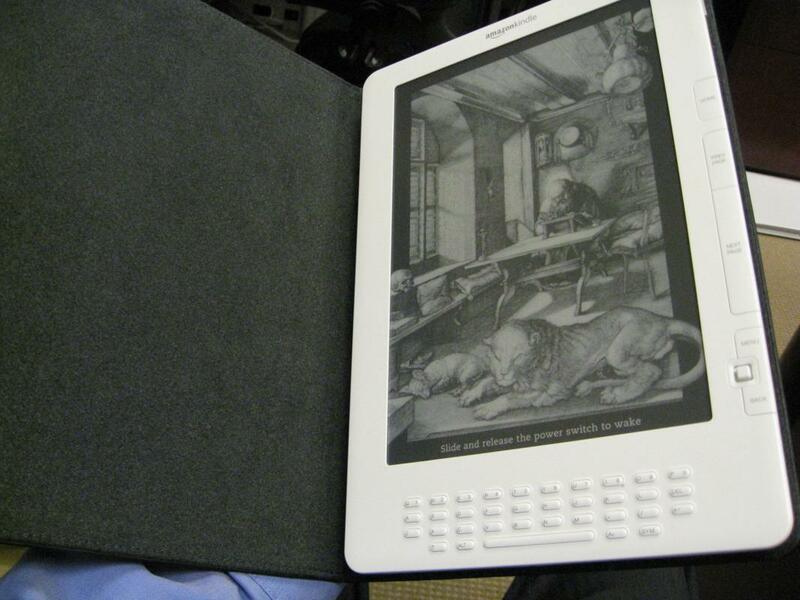 The Kindle does not have any. I had to add an extra note to the instructor to explain why I couldn’t cite my sources. – Once you’ve read the book and want to find something that you read, to quickly refer to again as you are writing, it’s very hard to do this on the Kindle. There is no equivalent to the quick page flip that we do so often and we take for granted. Yes, I know there’s a word search function, but it does not really work for me. – There’s no real way to quickly refer back to a prior chapter and come back to where you were like you can do in a book. 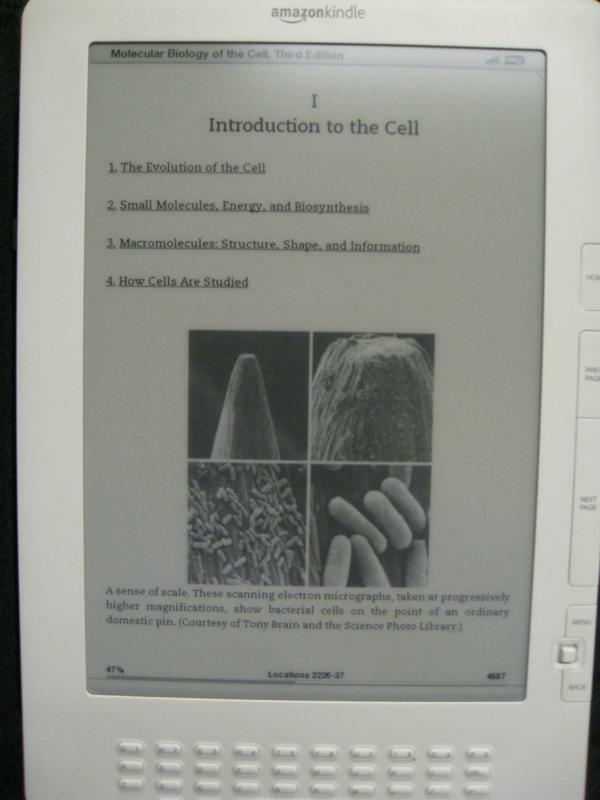 For these reasons, I’m not convinced about how successful the Kindle will be in an academic context. What worries me the most is that the book I was reading here wasn’t even a textbook, this was the kind of book you read from beginning to end but I still found myself wishing I had the paper version instead. Lastly, for case discussions, what I’ve found is that most proper case readings require you to make notes, underline etc as you read. 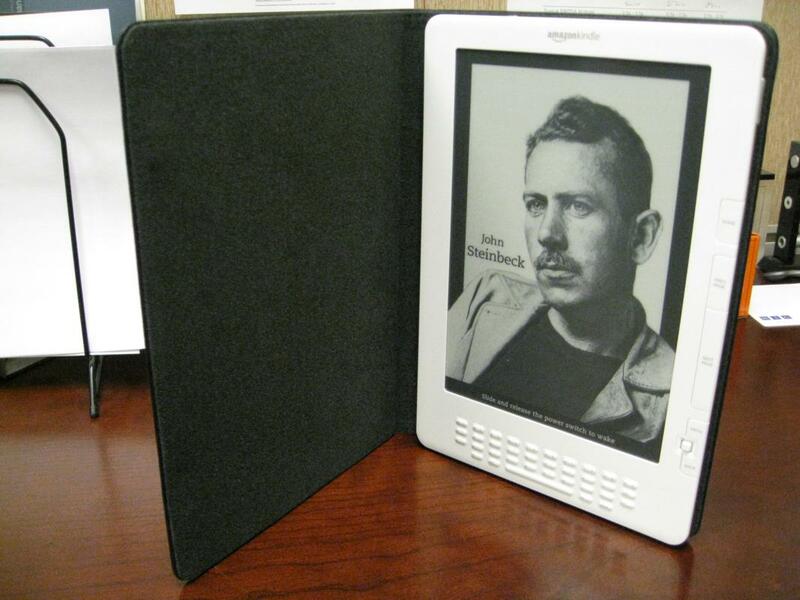 Because of this it’s very difficult to use the Kindle as a case reader despite the Kindle DX’s pdf capabilities. I do still love me Kindle but I think I’ll be focusing on using it for non-academic reading. UPDATE: IF YOU READ THIS POST, PLEASE ALSO READ MY UPDATED THOUGHTS HERE. Amazon shipped the DX two days ago and I received mine yesterday. These are my impressions based on just about a day of usage. 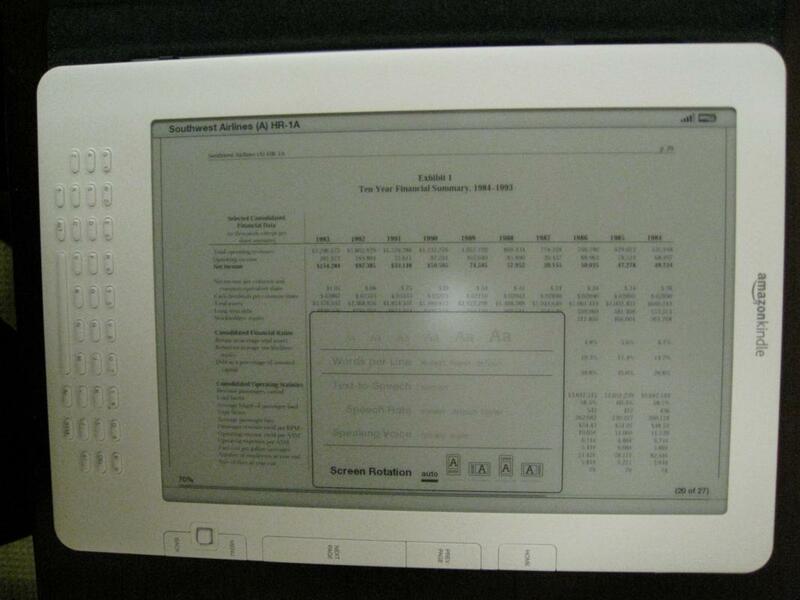 First, this is my first electronic reader, it’s also my first experience with e-ink. My first thought as I looked at the screen was wow, the screen is very crisp and clear (much clearer than my photographs below show). Images render beautifully, and look great on the screen, although everything is in shades of gray. 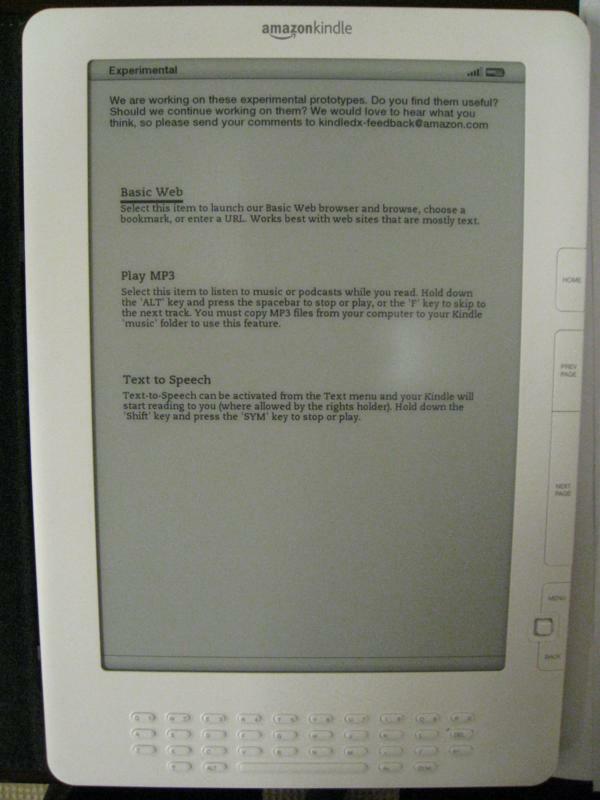 Amazon ships the Kindle with the getting started instructions “frozen” on the Kindle DX screen since e-ink requires no power to maintain what’s on the screen. 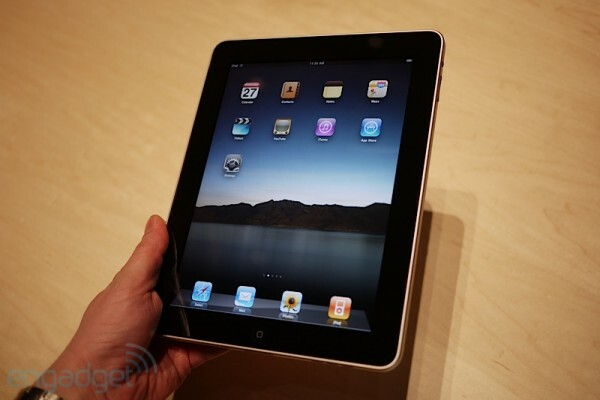 The screen size (9.7 inches) feels perfect for just about any content. The fonts can be made large enough to be very comfortable for anyone, even if your sight isn’t perfect. 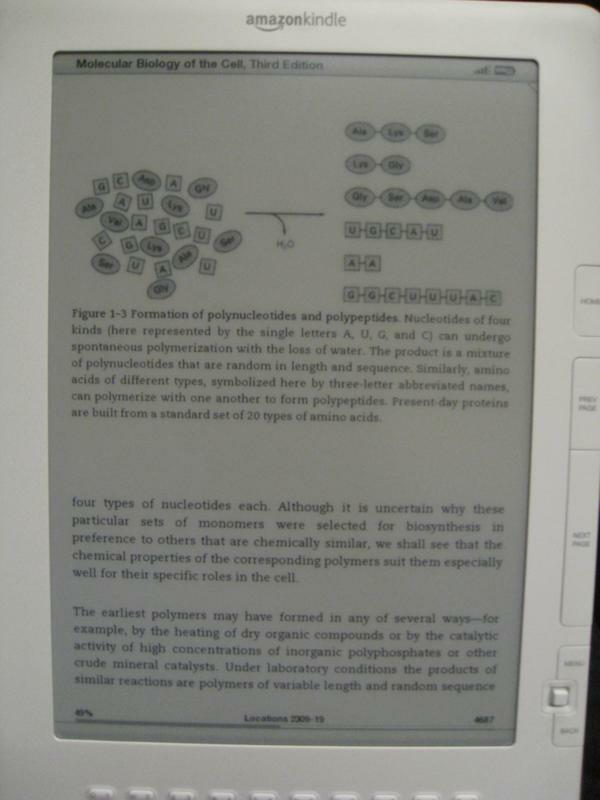 The screen resolution looks good, and text is very readable even for downloaded PDFs (more on that later). The DX is not particularly light. It probably weighs a little more than the weight of two regular one subject notebooks. For one handed use, it works but it’s not easy to hold with one hand for long unless you lean it on your arm. I can see why some users who don’t need business documents, textbooks or newspaper content would prefer the smaller (6 inch) Kindle. 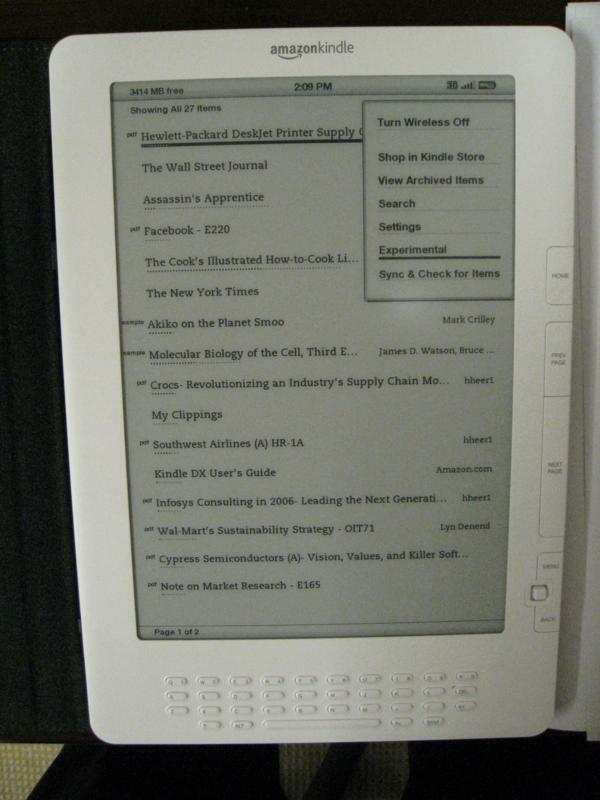 The buttons which are now on just the one side of the Kindle DX shouldn’t really bother anyone in my opinion as it can easily be rotated around (screen rotates automatically like on the iPhone). I found myself often using my left hand (even though I’m right handed) when I was using the DX with one hand (with it leaning on my arm). The device is very thin and the official Amazon cover doesn’t add a lot of additional heft to it leaving a device that looks about the size of a notebook (slightly thicker with case, slightly smaller footprint). The Kindle DX slides easily into the hinges of the cover (a additional $49 purchase from Amazon). The hinges hold the device solidly while the cover snaps shut firmly using magnets. 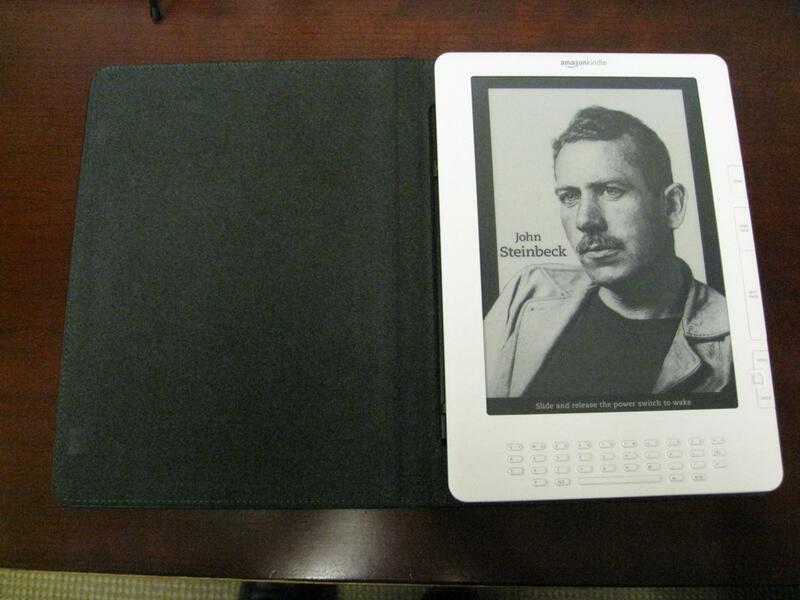 On previous versions of the kindle, there were complaints of the kindle cover opening accidentally while in a carry bag. The DX cover’s magnet should stop this from happening. 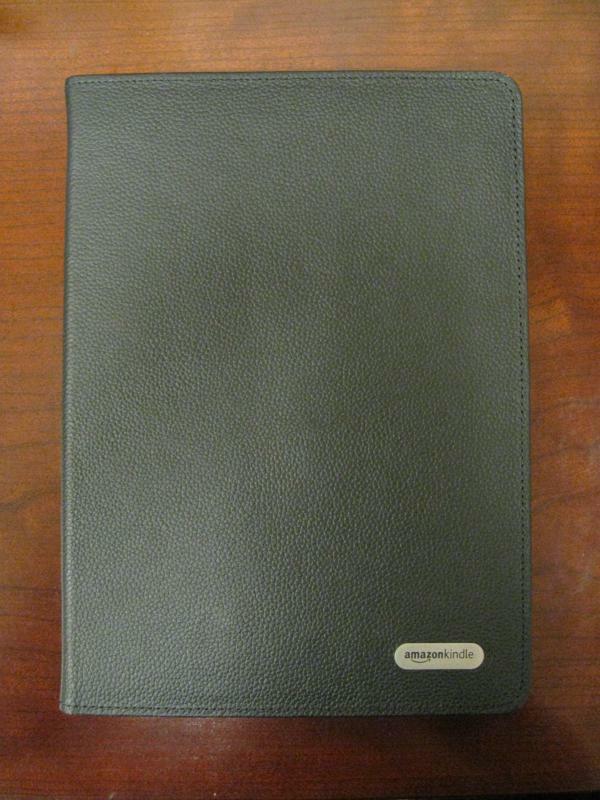 The cover itself is made of leather but doesn’t look that great from the outside. 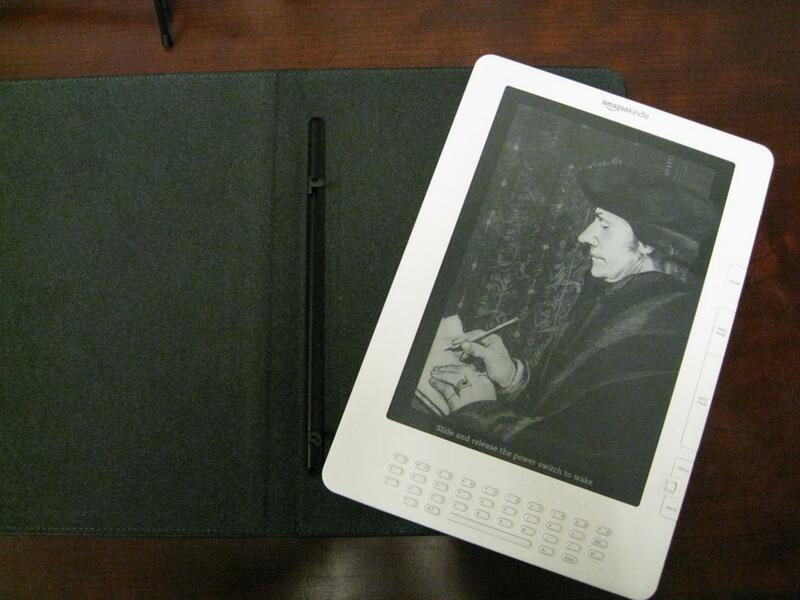 It is however very functional and the interior is comfortably lined in suede which is perfect for one handed reading. I would avoid covers in the market that don’t use the hinge system and instead use loops at the four corners. The keyboard at the bottom of the DX that Amazon hopes students will use to make notes, is probably the worst part of the Kindle design. The keys are tiny and not very easy to press. It feels like a blackberry keyboard but with awkward spaces inserted in the middle. Hopefully Amazon will come out with some sort of keyboard accessory support for this that will allow a better portable keyboard to be fixed to the USB port (might be wishful thinking). The other new hardware feature is the auto rotation of the screen. The DX ships with this set to automatic by default. One of the first things I did was to change this to manual. The DX screen switching on auto, can be very trigger-happy. 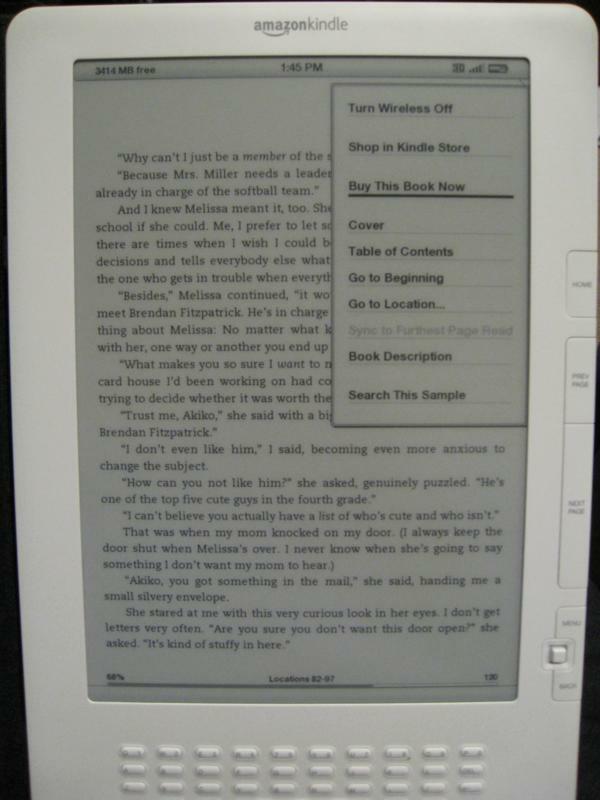 Based on the preferred reading angle, it’s easy to change orientation unintentionally. However, this is corrected with one press of the “Aa” button and a couple of moves of the five way “joystick” control. One of the main features that I wanted to try out on the DX was the ability to view business school cases in PDF form. I connected to Stanford’s webapps and downloaded a few cases. 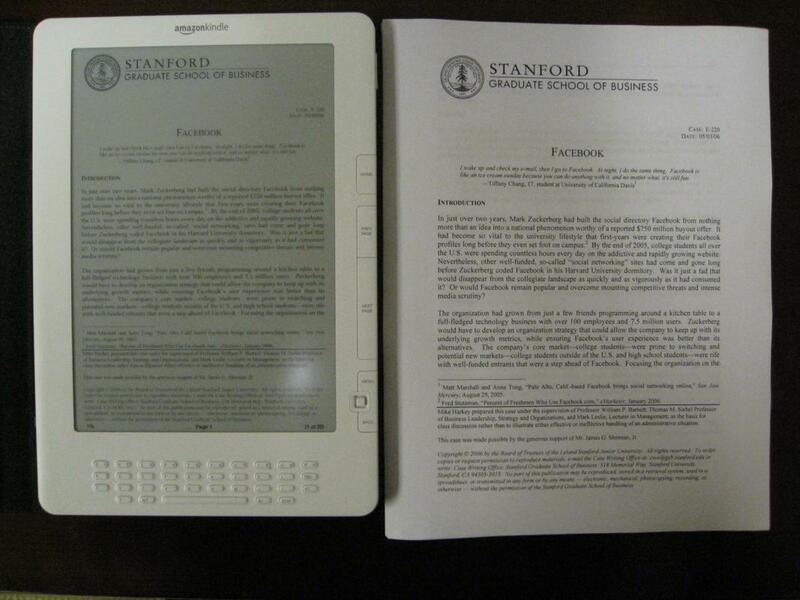 Amazon gives two ways of transferring personal documents to the Kindle. a) Email it to Amazon and it will be delivered wirelessly to the Kindle (costs 15 cents a megabyte – could be about a $1 per document or significantly more based on the size of the file). b) Connect via the provided USB cable and just copy the file over (similar to copying files onto a standard USB drive). I used the second option which is what I think I will be doing once classes start in the fall. It was very straightforward. When connected via USB, the Kindle cannot be used to read unless you “eject” the USB drive. If the USB drive is ejected it will continue to charge while you read. 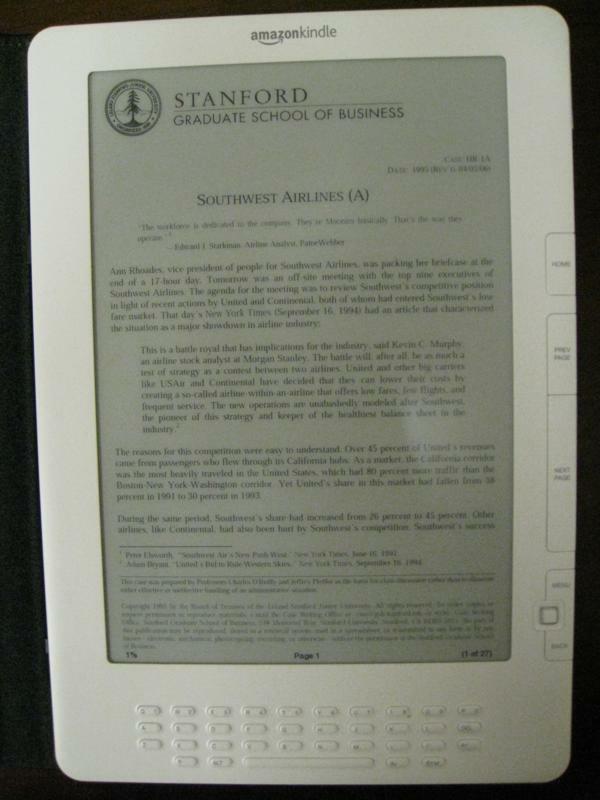 When connected via USB, folders can be created on the Kindle to organize the content. However, these folders do not appear on the device itself. 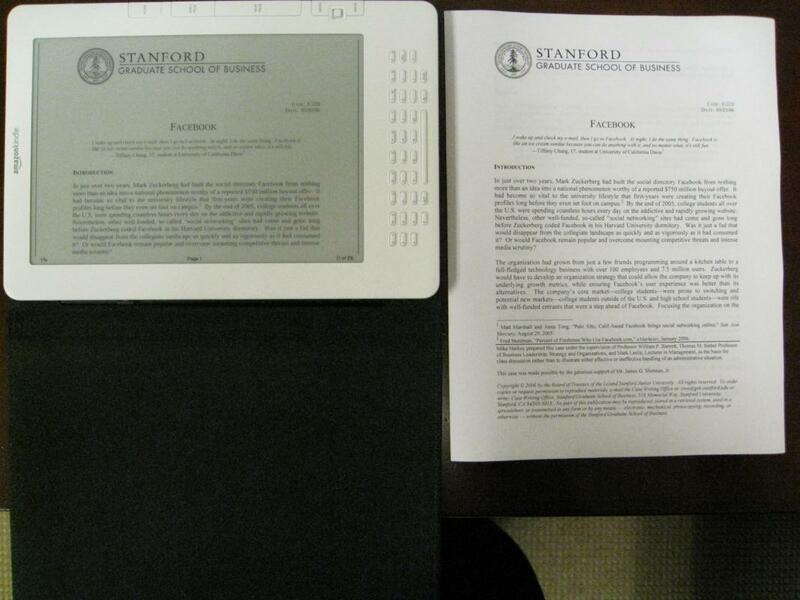 For example I created a folder called “Stanford Cases” but as shown in the images, this didn’t affect the organization of the documents on the screen. Hopefully a firmware update will add support for folder display that will make it easier to navigate through documents. In its current form if someone did have the 3,000+ books that Amazon says you can carry on the DX, finding a book from that library could be difficult. 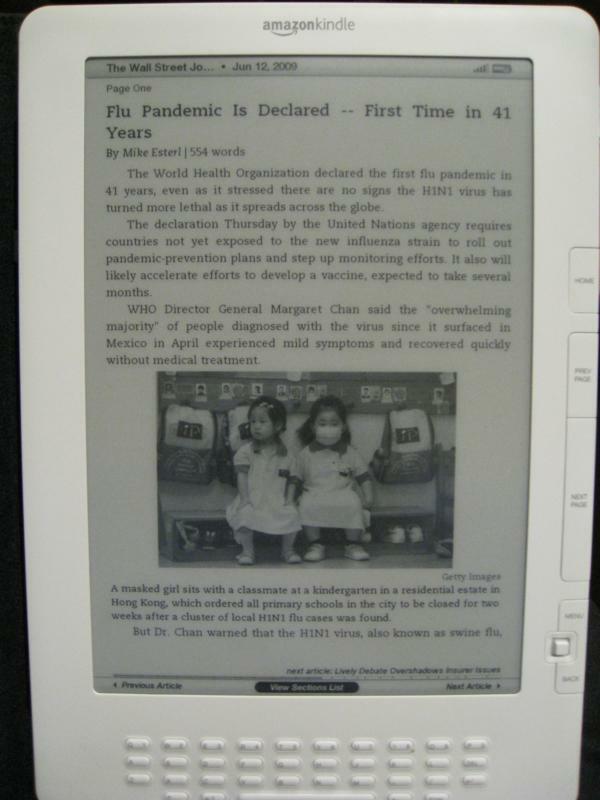 PDF versions of cases display perfectly on the device, with even the smaller fonts being very readable. 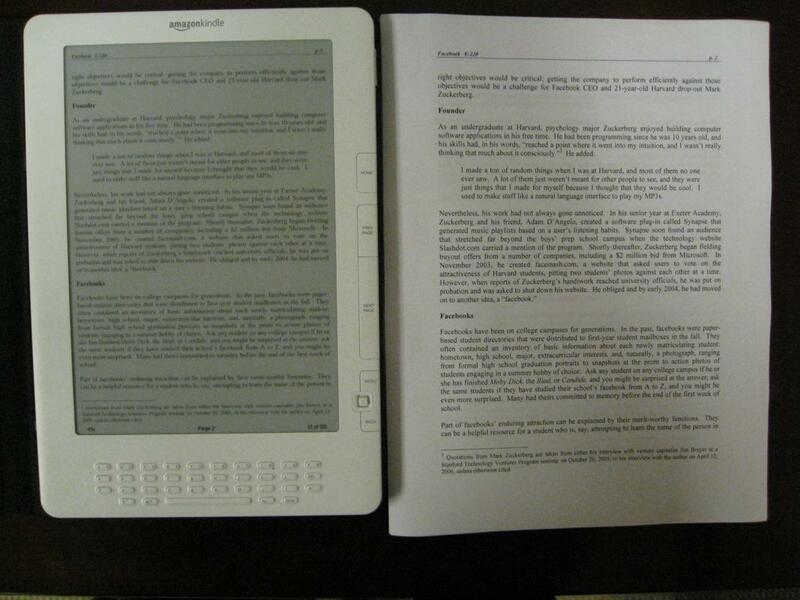 Without measuring scientifically it looks like in portrait mode the PDF’s are shown at about 80-85% of full size. The DX does not support zooming of PDFs, however there is a feature which essentially is a fixed zoom. 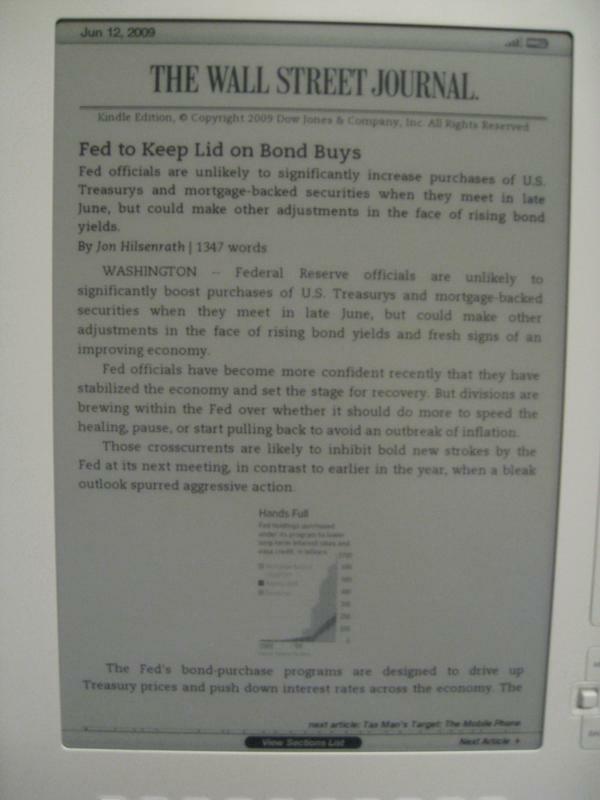 When the orientation is changed from portrait to landscape the size of the uploaded PDFs looked just about 100% of printed size (see images below). This can be used as a zoom to enlarge any tables or charts that are printed in smaller font. Newspapers display really well on the device. 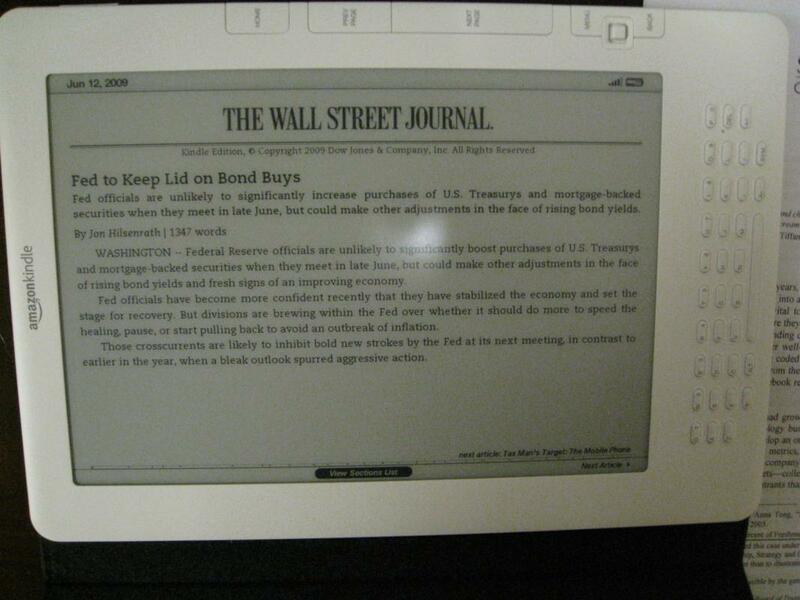 I subscribed to trials of both the Wall Street Journal and the New York Times (pictures in the gallery below). 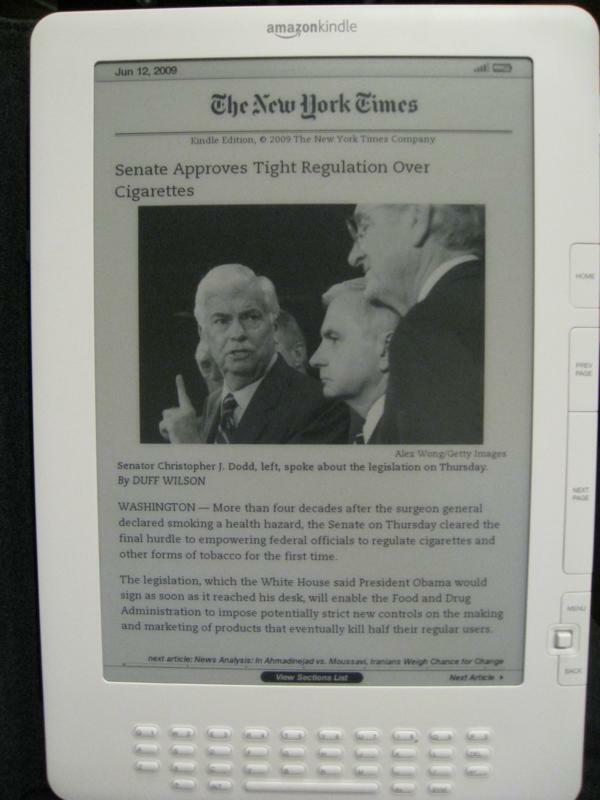 Waking up in the morning to have the newspapers automatically delivered to the Kindle is a great experience. 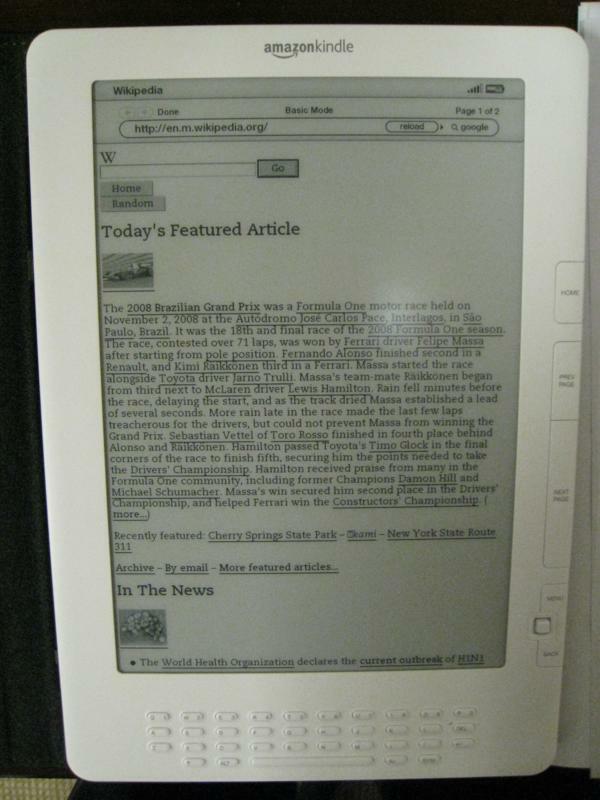 Although the articles themselves are displayed well, the interface for newspaper display leaves a lot to be desired. Amazon is yet to launch the textbook store for the Kindle. However, there are a few texts available already. I decided to try out one that was labeled “Optimized for Kindle DX.” Unfortunately, this turned out to be a particularly poorly done e-book with low resolution images (unlike other “optimized for DX” books that I tried). 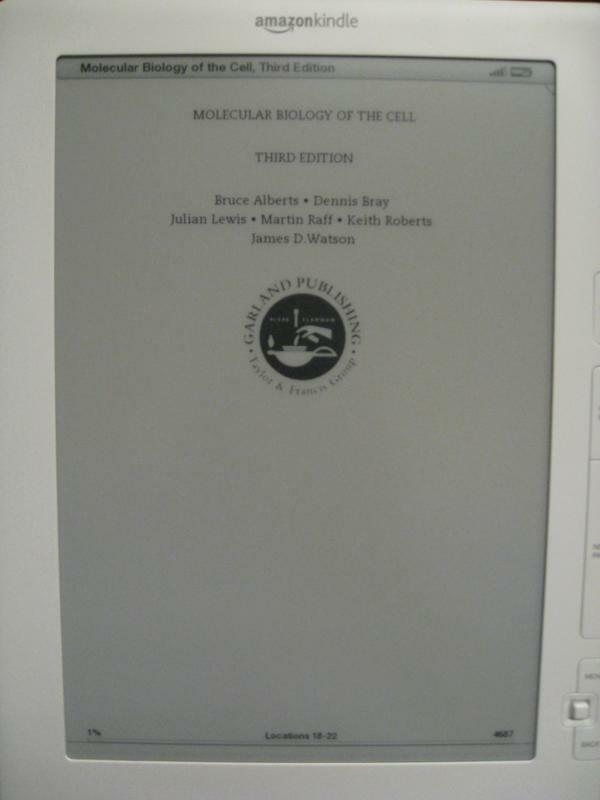 Although the book was quite usable (and also priced at about a third of the price of the paper version), the low resolution images that the publisher had utilized took away from the reading experience. I will post more details on the textbook experience once Amazon launches the textbook store fully (expected before the fall) and business school texts start to appear online. I reprinted the file as Acrobat 6.x and the file works like magic, graphics, maps and all. 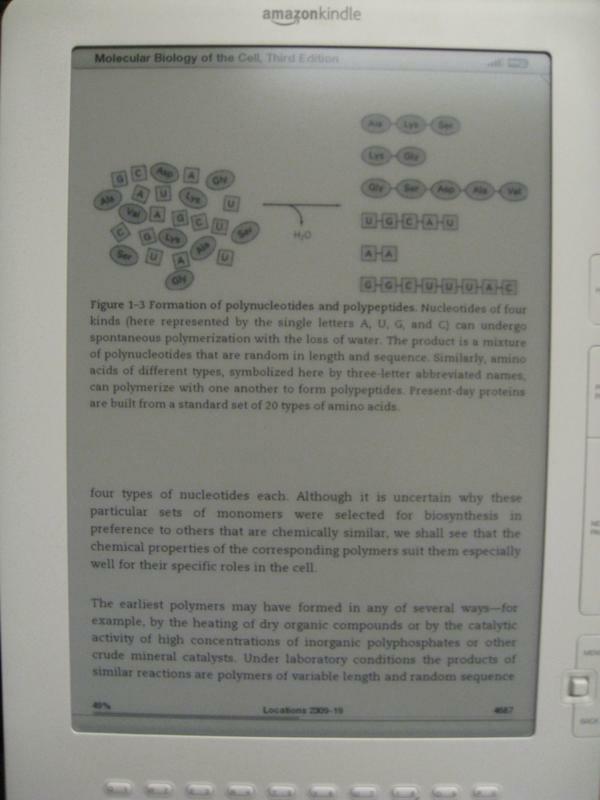 So, despite my initial thoughts, it looks like there are cases that PDFs don’t display correctly on the Kindle (although in my experience this is not the norm). Additionally, on one PDF format book that I tried every other page appeared in a smaller font (not filling the page), this was corrected when I changed to landscape mode but reading in portrait became difficult. The contrast on the same book was fairly light as well. I’ve added my thoughts on Manga and Magazines here https://srilankangsb.wordpress.com/2009/06/15/kindle-dx-manga-and-magazines/. The text-to-speech feature in its current form is not very good. The Adobe Acrobat read aloud feature (on my PC desktop) works much better and can be listened to. 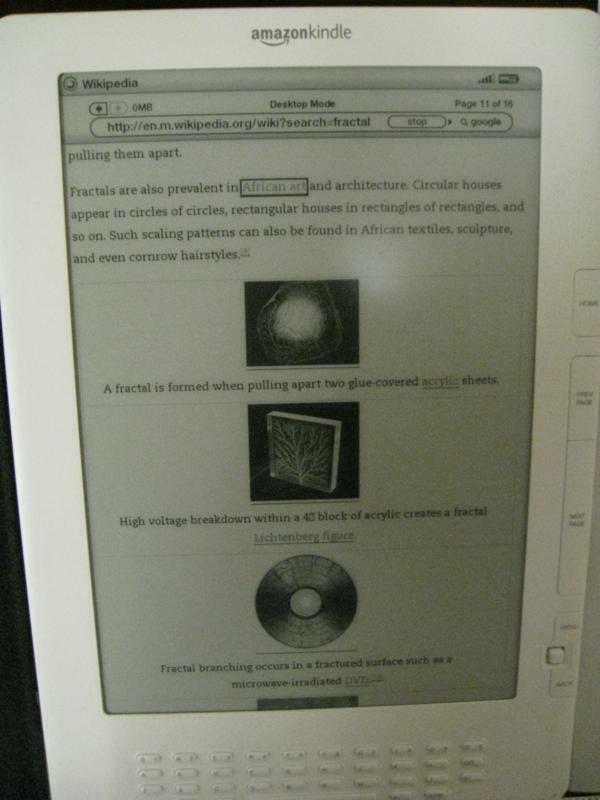 The Kindle version is really bad at pausing at the right places. 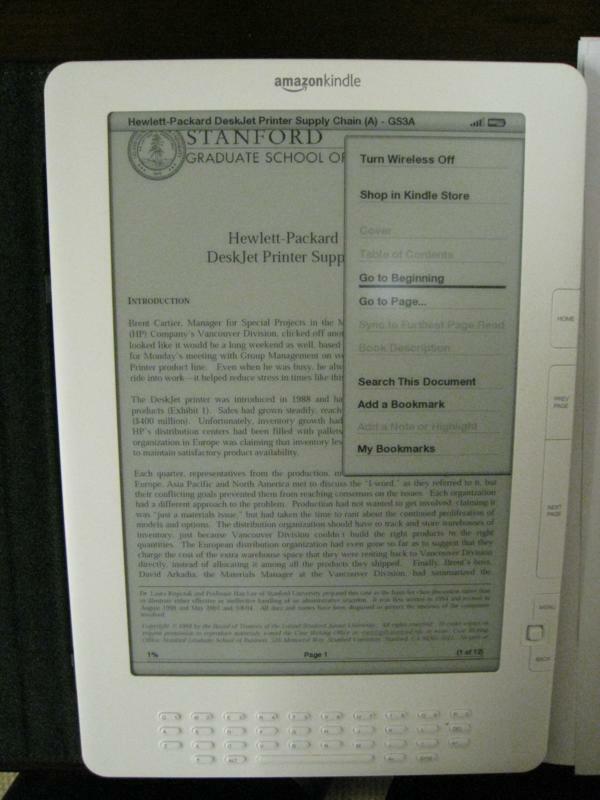 Despite the drawbacks that I cited above, I really like the Kindle DX. The reading experience is very good and the convenience of purchasing books via Amazon’s Whispernet service, pretty much anywhere, anytime is amazing. The DX’s size is perfect for case studies, scientific documents etc. and the lack of zoom should really not bother users because of the landscape mode that’s available. 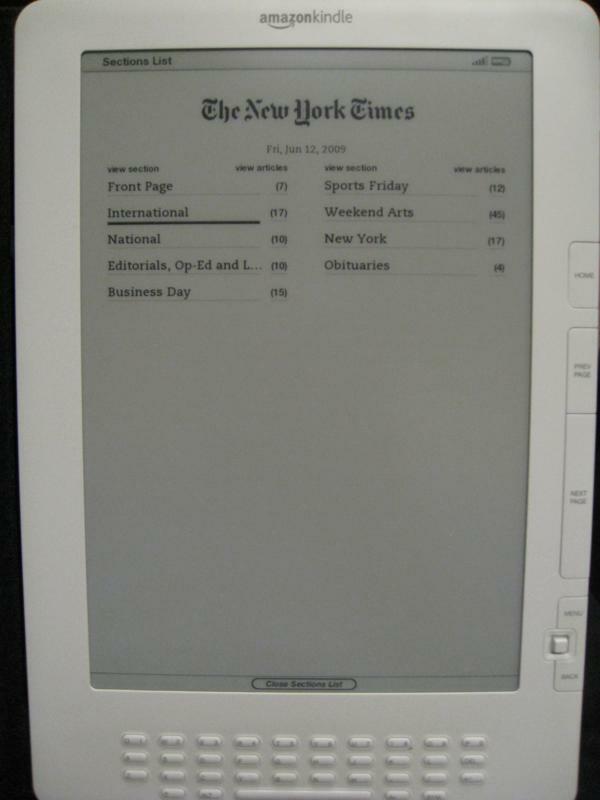 Although missing a few important features (like a better keyboard) this device provides a great platform for textbook and newspaper distribution. However, to utilize both these features requires first, waiting for the Kindle textbook store to launch (should be within the next month or so), and second, a better designed cover page for newspapers. Does Text to Speech work on unconverted PDF? No, I would have been very surprised if this worked. When you turn an unconverted pdf to landscape, how big do the letters get? It zooms by about 15-20%. The end result is about the same as what the PDF looks like when printed on letter sized paper. How are the Speakers? Good, on text to speech, loud enough to fill a small room (similar to speakers found on smaller laptops). I haven’t tried them with music though, just with text to speech. 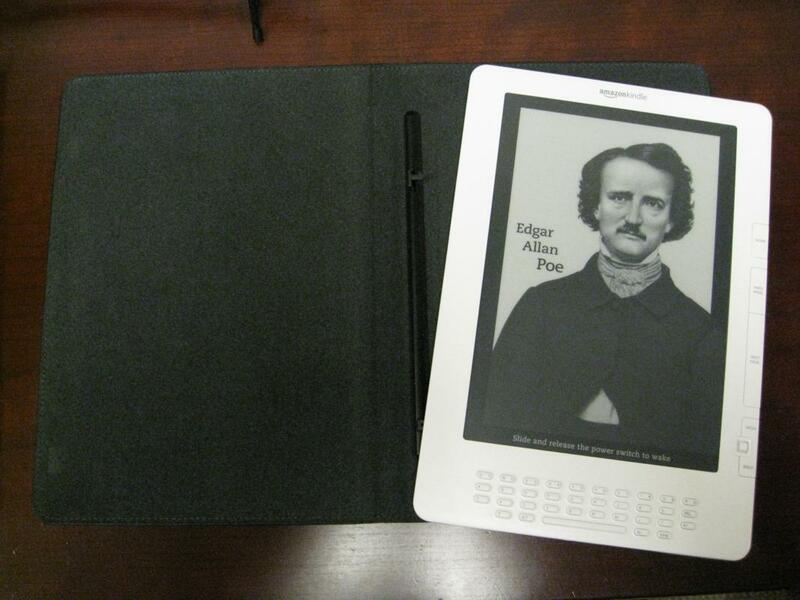 How comparable the screen size is to a page from a normal size hardcover book. I like reading books in hardcover, rather then paperback. 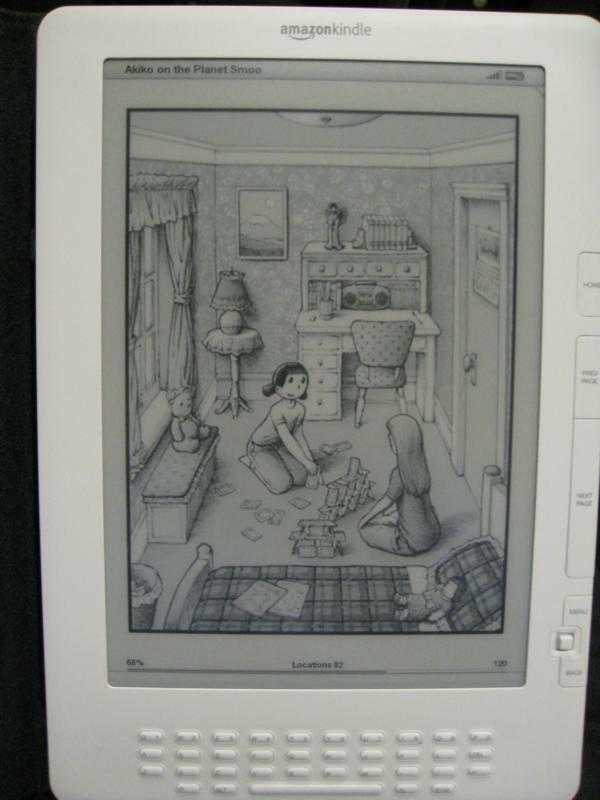 I just wonder if the DX’s screen size is almost identical in average hardcover page size, appearance, etc? Very similar to hardcover book reading. I would say page size is almost identical to the typical hardcover but can probably show a little more text with the margins reduced (this can be changed using the Aa menu). The appearance of the text I think is even better than the regular hardcover page since the page is completely flat and the contrast is very good. Does it creak? I shook it around a bit but couldn’t hear it creak, can’t say I tried too hard though 🙂 Feels very solid to me. Does the text disappear with the sun? No. I found it very readable in direct sunlight. The only time it is difficult to read is if you have a light right behind you that is reflecting off the screen into your face. How difficult/cumbersome is it to have the navigation buttons on only one side, and to have to switch back and forth when using the keyboard to annotate? I found it very easy to use. 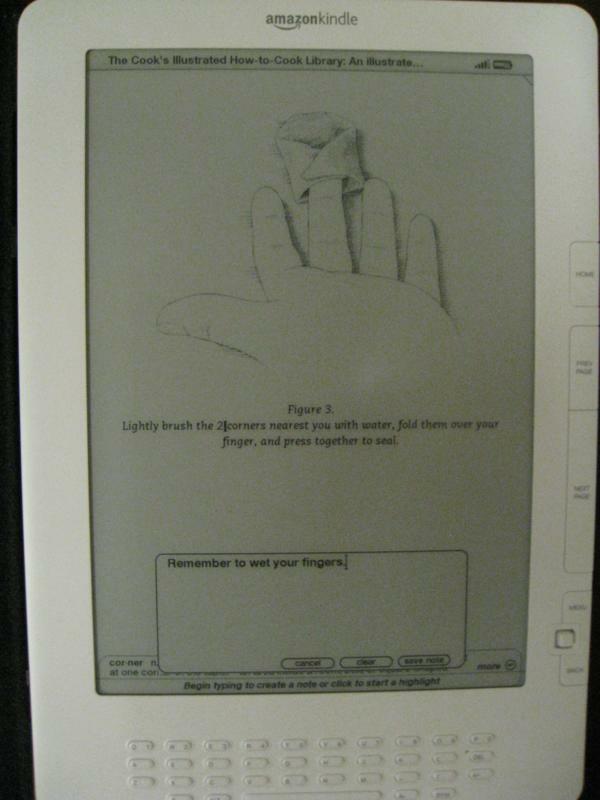 I like to hold the kindle on my left arm and turn pages with the left as well (by putting my hand behind and around the DX), this works fine. The joystick works correctly in any orientation so if you wanted to turn it around and page turn on the left that will work well too. The keyboard to annotate is a bit of a pain to use. The keys are small and stiff. I haven’t gotten used to the spacing yet. I’d love to see some screenshots of how Mangle looks/works on the DX. I can only imagine the big screen would be even better for manga? I think Manga will look great. 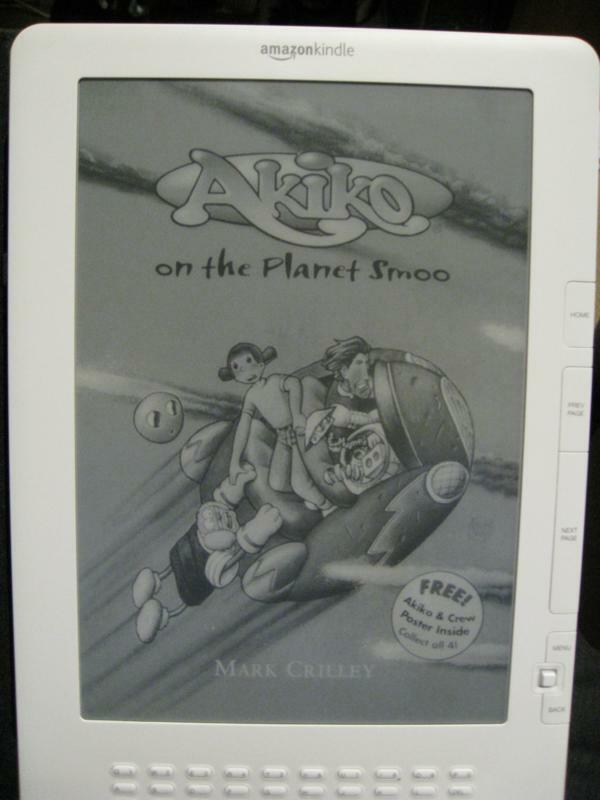 For an example of the image displaying abilities look at the screenshots from Akiko below. Sorry, I couldn’t transfer any manga to it to test out. I thought pictures look beautiful, like penciled etchings. Does the DX properly scrape PDF metadata? Doesn’t seem to. It showed the titles on the cases I uploaded as the file name. PDFs display perfectly though. 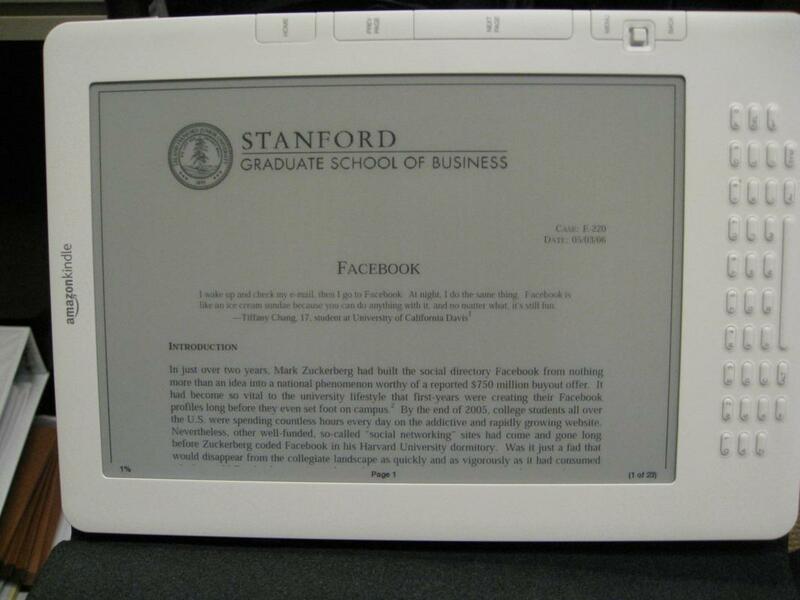 Do 8.5 x 11″ documents seem “too small”? They don’t. I didn’t realize that it was smaller until I put the DX side by side with a printed version. In landscape mode you don’t see a full page but 8.5×11 documents look almost 100%. However, in my experience the portrait mode was perfectly readable as well. Did they add folders? Unfortunately not. You can create folders on the drive in the USB mode to organize things, but they will not show up as folders on the kindle. 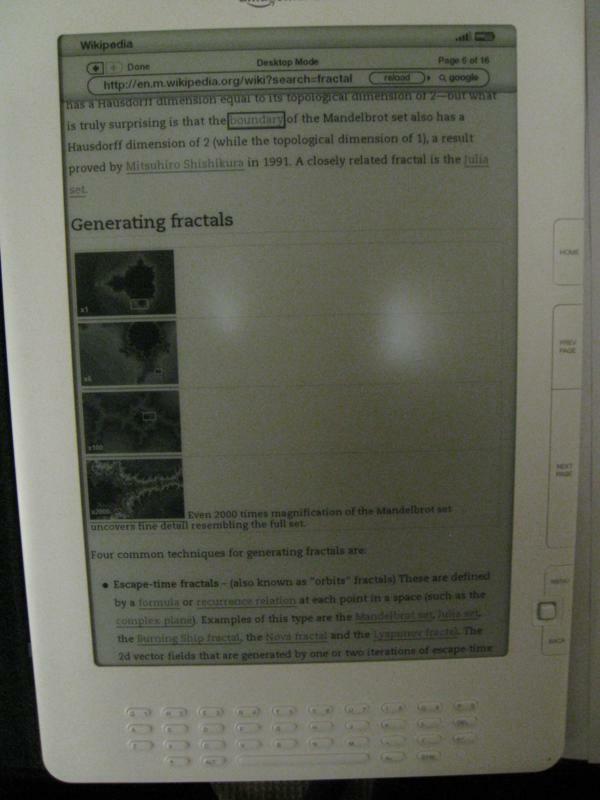 Are math fonts in Wikipedia articles readable with the Kindle DX, including the subscripts in equations? For example, could a student read and understand the article available here? Yes. In desktop mode the link above displays perfectly including all formulas subscripts etc. However the browser is slow and not very reliable in this mode. 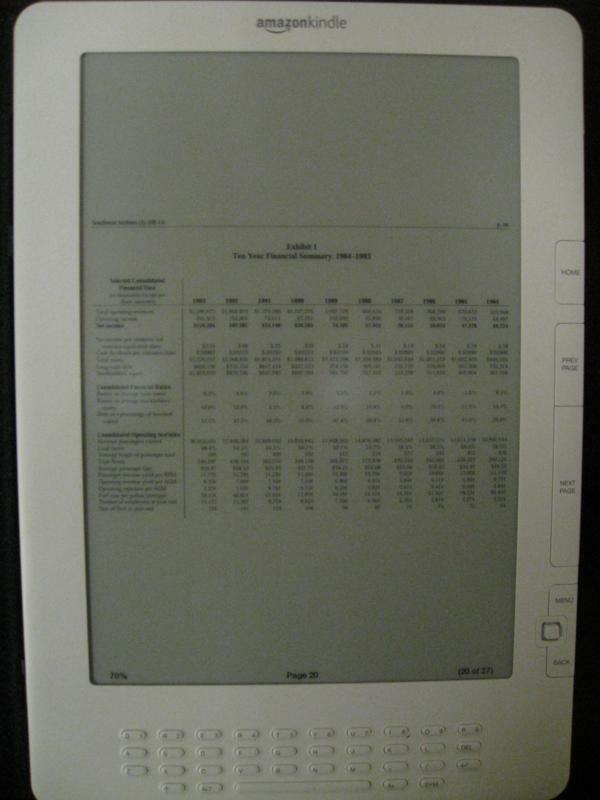 Are math fonts in pdf articles readable with the Kindle DX, including in articles with very narrow margins? Yes. fonts show up perfectly and PDFs work just the same as they would on your desktop. I was amazed by just how good the readability was. I didn’t try narrower margins than my cases below but I think it will be fine. Is the print darker then a K2? I don’t have a K2 to compare but the print looks very dark and is a pleasure to read. How is the cover? See my comments on the cover above. It works, uses up a minimum of space and the magnetic latch and the hinge lock system are great. Leather: not so nice. Does it have a back light? AH. No. Is it comfortable to hold and read (both landscape and vertical)? It’s not super comfortable for using one handed, but the increased screen size adds a lot of comfort to the actual reading. I’m glad I went with this size although sometimes I find myself wishing it was just a little lighter. How many font sizes are there? 6, the largest one is gigantic! default is the third size. Any new screen savers? Hmm, unfortunately don’t know since I don’t have a K2 but I really like the screen saver. How well does it handle complex, multicolumn PDF’s? Very well, no problems at all. What about images in PDF files? They display fine. Are they large enough to see, is there a way to enlarge them if needed? They are large enough, but the only way to enlarge is by switching to landscape mode. Most importantly, is highlighting and annotation possible in a PDF? Unfortunately not. Can you zoom and pan on them? 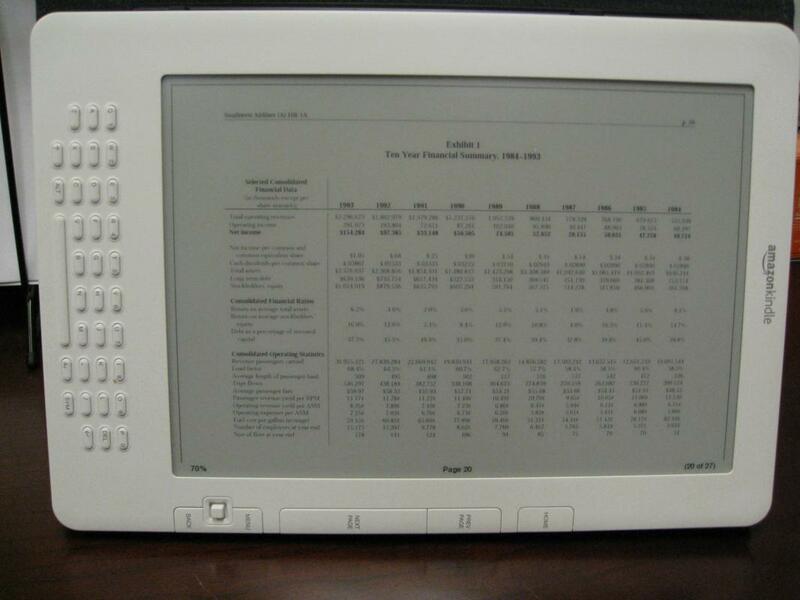 Just switching to landscape mode may not be enough magnification for image based PDFs and some charts/graphs. Unfortunately not, switching to landscape is the most you can do. Any PDF designed to be “printed” on letter size paper should be ok though. How’s the contrast? Very good. It’s a pleasure to read. Does the dictionary work on an unconverted pdf? No. There is no curser on PDFs. Only thing you can do is search through them or bookmark pages. Kindle DX Shipping June 10th! 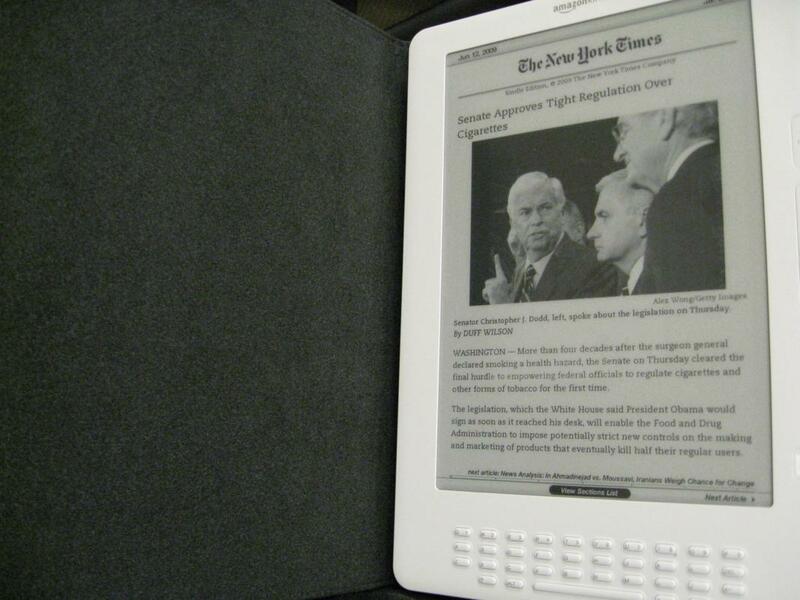 It’s official, the Kindle DX (or the newspaper / textbook kindle) is shipping on the 10th of June, at least mine is. I just received an email from Amazon that my delivery date changed from some time during the summer to June 11th. 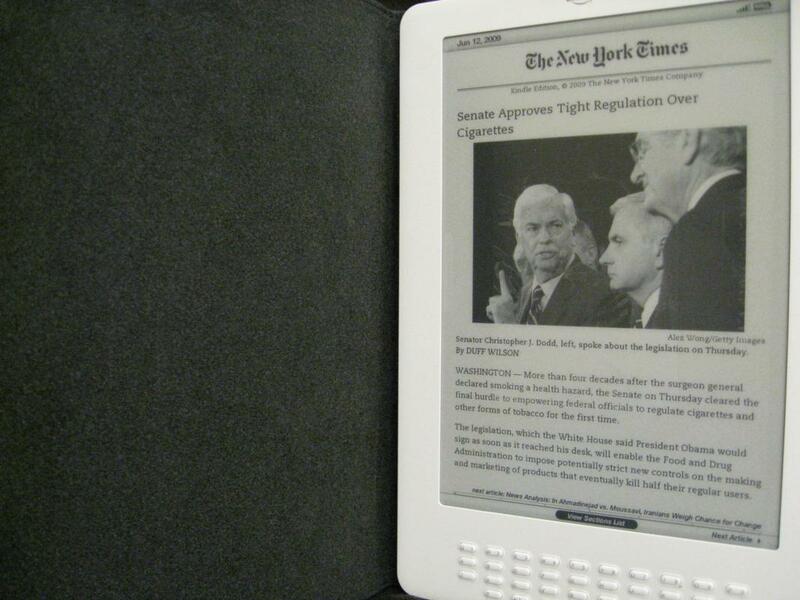 Could this have been spurred by recent announcements of competitors like the Cool-er Reader? I think it could be. When Amazon said Summer ’09, I didn’t expect it to be this soon. What could be a bigger factor is Google’s announcement today of wanting to get into the digital publishing business. Amazon has a leg-up by getting into this first but its not insurmountable I think. Especially for someone like Google who could throw a lot of content into the picture.